Note: This blog was first published 06 August 2012. I’ve now got my Go Racing Pack, and am preparing to book the test! In the pack you get a DVD of what’s expected of you for the test, which goes over lots of regulations and flags you need to know for the test, and also a fair bit of first aid. You get the ‘Blue Book’ of all contacts/rules/regs in the motor racing world along with some quick reference sheets for flags and handling techniques, a Demon Tweaks catalogue, and the application form itself. Next step is to book up a day at Silverstone. Although bike part prices are wayyy above car ones, when you get into car racing the balance shifts. And the flame retardant suits themselves? More than a set of leathers! You might scrape a cheap suit for £300, but just over £1000 seems to be about right – and that’s into custom-made super-leather jobbies on a set of bike leathers! And then you need Nomex boots, gloves, and ideally a full set of fireproof undergarments head-to-toe. Luckily, having just called Silverstone up directly, all you need for the test is comfortable clothing (as a lot of the day is in classrooms) and they provide an open-face helmet (so you can speak to the instructors and hear them yelling at you). The may let me use my bike helmet, so I’ll take this along as well – mainly to try and sneak a bit of camera footage out of the day! Every racing driver uses this technique, right? Wrong, from what I can tell! I’m trying to find out from various sources exactly how many use it, and is it just the fastest drivers, and so far results are inconclusive. I know championship winners who never use it, fo example. 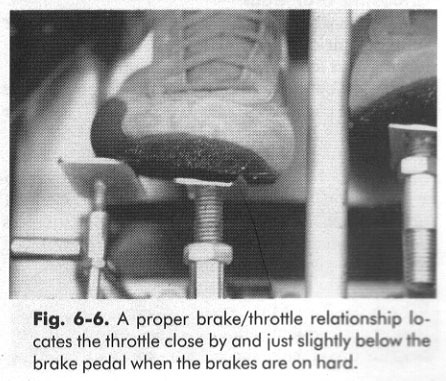 I mean, I use the bike equivalent (blipping on every downshift), so it would make sense for me to learn heel and toe. Probably not for the test, but for the future, certainly. I’ve said before about how driving a car is a bit boring as it’s all in slow motion compared to a bike. Maybe this will liven things up a bit for me! I’m enjoying watching old videos of Ayrton Senna and suchlikes working the pedals. One thing to watch for, is if you’re learning from videos of Group B rally drivers, be aware that because of the filthy great primitive turbos they used, they’d often keep the throttle wide open as they braked. This kept the turbo in the narrow sweet range when they got back on the power. As a slight tangent to this, I recently learned that Ari Vatanen(?) drove the Lancia Delta S4 on the Portuguese GP circuit in 1984, and clocked a time that would have put him in 6th place at that years Formula One race! Is that a sign of how awesome those Group B cars were, or how good their drivers were? 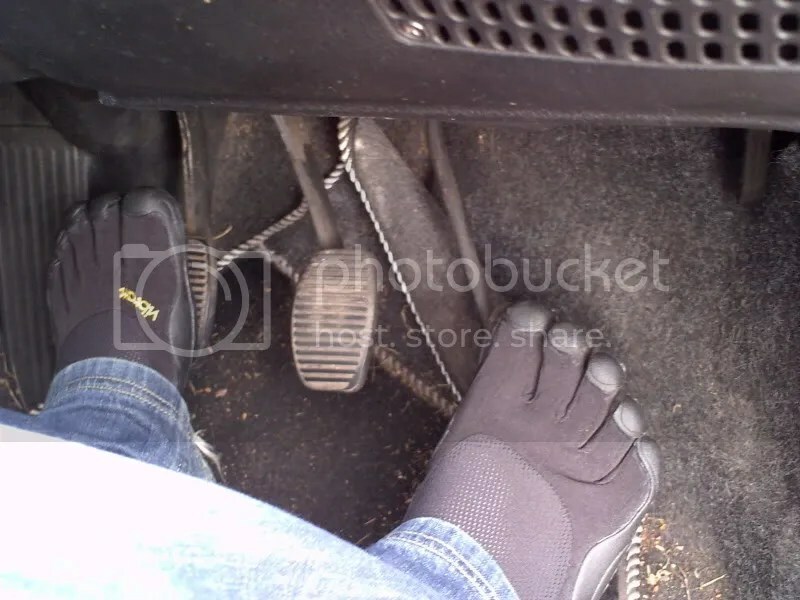 Do you use heel and toe in the car?